We would love you to come and celebrate the bookshop’s 10th anniversary at Wootton Village Hall, where we have sold books for so many of the Wootton Village Hall talks. The evening will comprise two short talks – the first about a very special first novel, published on 3 May (the date the bookshop opened its doors in 2008), and the second a welcome return to Wootton by Julie Summers, this time to tell us about Blenheim during the war. Carys Davies has previously published two volumes of outstanding short stories and won the 2015 Frank O'Connor International Short Story Award. She will be discussing West, her first novel. Recently she was interviewed on Radio 4's Open Book and you can hear that here. Julie Summers will talk about her latest book, Our Uninvited Guests - the secret lives of Britain's country houses 1939-45, which includes a section on Blenheim Palace. This is a celebration of the shop's 10th birthday and an opportunity for some of the shop’s many customers to get to know each other. During the past ten years we have held many talks and six poetry festivals. The bookshop has been shortlisted three times for independent bookseller of the year and made it to the Independent’s Top 50 bookshops in the country. None of this would have been possible without our customers and your support and we would like to say a very big thank you to you all. Entry (at £5) includes a glass of wine; and wine and sandwiches will be served following the talks. Please book in advance by ringing or emailing The Woodstock Bookshop. 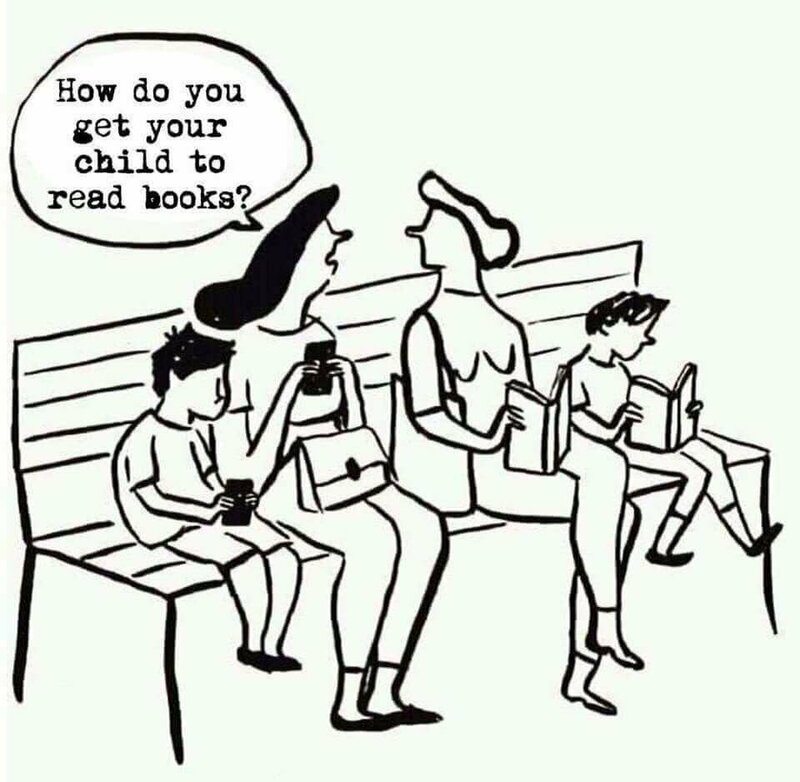 How do you get your child to read books? I love this. 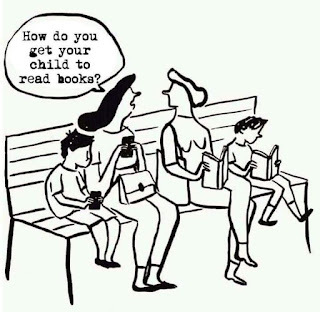 It's so true, too - how often do adults sit and read in front of their children? I remember once travelling by train with two of my younger children - as we pulled in to the station the woman opposite bent forward and said, 'I just wanted to say how much I admire the way all three of you have been reading for the whole journey.' The children were a bit puzzled - what else would they have been doing!